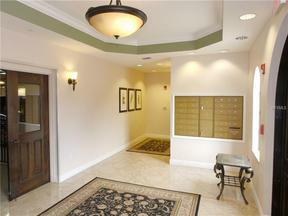 Deluxe Condo Living at Lake Vista in the heart of Lakewood Ranch. This Victoria floor plan is 3 Bed, 2.5 Baths, 1776 sf, Third floor unit with very special preserve views. The unit features granite counter tops in the kitchen with 42”wood cabinets w/lots of storage. This is a great room plan with tile floors in the kitchen & wet areas and carpet in the bedrooms. It has a tiled walk out lanai to enjoy the views. The Master includes 2 walk in closets, access to the lanai, dual sinks, soaking tub and granite counters. There is also a convenient utility with washer & dryer and separate storage. Yes, the unit has thermal windows throughout. Parking is under building with 1 assigned location and extra space for guests. There is also a storage locker that will accommodate your bikes and water toys. And just steps from your home is the lovely Community Club House that includes meeting room, TV/Game room, catering kitchen, fitness center, changing room and on site managers office. There is also a heated resort style pool, spa, grilling area and extra sun bathing areas. You can enjoy all of this, yet be in the heart of Lakewood Ranch close to Main Street shopping, dining, the Lakewood Ranch Hospital, I-75 and the new UTC Mall. This unit is offered at a very exceptional value price.